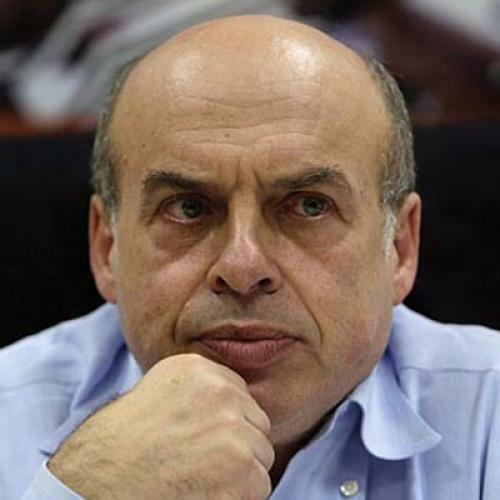 Natan Sharansky versus the Israeli mainstream. But today the famed fighter for human rights has arrived at an odd moment in his life. Sharansky was a hero in Israel, where he moved after leaving the Soviet Union, eventually founding a new center-right political party and holding ministerial positions in four different governments until his retirement from politics in 2006. Yet, ever since the start of the Arab Spring, he has found himself increasingly out of step with his countrymen on the issue about which he cares most. I'VE INTERVIEWED Sharansky nearly a dozen times in recent years, in person and over the phone, and have always found it hard to see the charismatic and gregarious man that former activists and journalists recall from 1970s Moscow. At 63, he comes across as listless, even uncomfortable. But, since the first burst of revolution in Tunisia, there is a focus and assuredness to his voice. He seems to have been revived by the moment. “All people, in every culture, don’t want to live constantly in a state of fear and self-censorship,” he told me recently. He remained steadfast in his support of the Middle East’s democracy movements even as the various revolutions seemed to be faltering. “We have to look at it optimistically,” he told me one day in June, just after Syrian forces had killed at least 70 protesters in one of the bloodiest days of the revolt. “Realize that what happened in these countries was inevitable. We can’t expect that the people of the Arab world will forever agree to live under dictatorship only because it is more convenient for us.” When I spoke with him three months later, militants operating out of Egypt’s Sinai Desert had launched terrorist attacks into southern Israel, killing eight Israelis. I asked him if his hopes had dimmed. “I was never under any illusions that the process of building a free society would be a quick one,” he told me. Sharansky himself has recounted with some relish that Ariel Sharon once told him, “Your ideas about freedom have no relevance to the Middle East.” A number of Israeli analysts told me that it was Sharansky’s inability to reconcile the two parts of his identity—democracy crusader and conservative Israeli politician—that led to the end of his political career. Gal Beckerman is the author of When They Come for Us, We’ll Be Gone: The Epic Struggle to Save Soviet Jewry, which has just been published in paperback. This article appeared in the October 20, 2011, issue of the magazine.